Are you bored by the costumed buffoonery of the annual suburban “Bloomsday” celebrations? Why not instead embrace the true theatricality of Joycean urbanism and play the REDRAWING DUBLIN ‘Reality Urbanism’ walking bord game. REDRAWING DUBLIN invites you to take a leisurely one hour stroll through Dublin’s City centre and Inner City to discover ‘Reality Urbanism’ in Dublin today. (Allow an additional hour for lunch, stopping points, photos and discussion). “Our journey will take you from the heart of buzzing Exchequer Street in Dublin’s City Centre through the ‘Arc-of-Disadvantage’ of Dublin’s Inner City, to the Phoenix Park and back along the ‘Dublin’s North West Bank’, fittingly ending in Mick Wallace’s “Quartier Bloom”. Along the way our urban story will unfold before you, capturing both the best and worse Dublin’s fledgling urbanism has to offer”. Promoting the City Centre and Inner city, supporting cafes/restaurants/tourism. Advancing discussion of Dublin Urbanism, furthering knowledge emanating from REDRAWING DUBLIN (the book). Harnessing the energy and creativity of people, connecting people and neighbourhoods, promoting civic and social awareness. 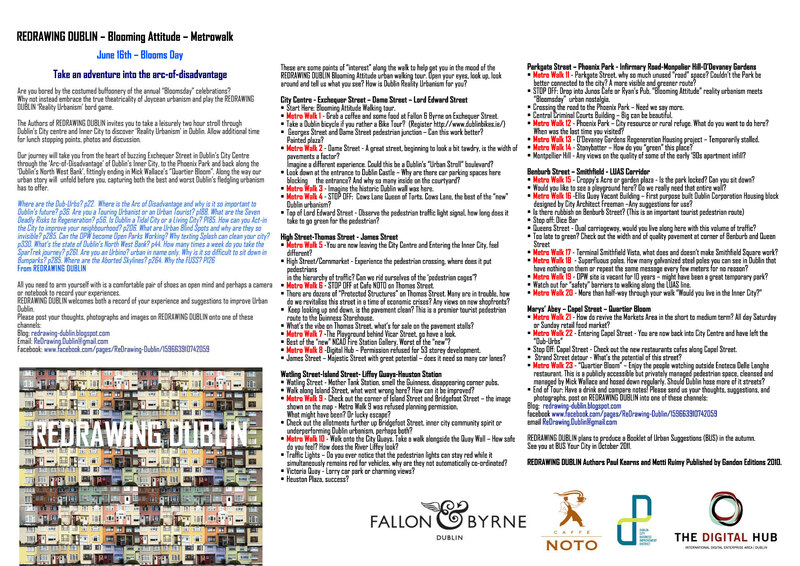 Blooming Attitude Event(s): Two complimentary events, “Blooming Attitude-Does Dublin have a personality” and the “Blooming Attitude Walking Tour”. 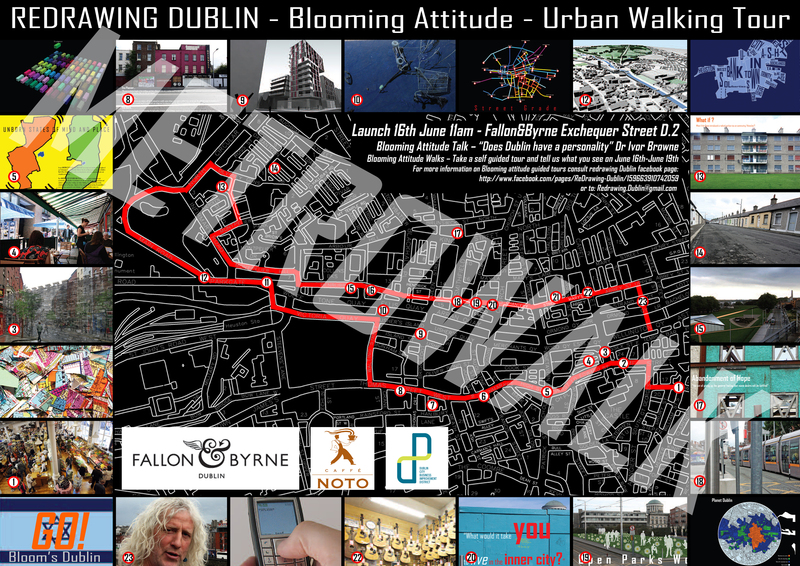 At its most simple, “Blooming Attitude” is about reclaiming Ulysses Urban Dublin, reinventing the now somewhat jaded theatricality of the suburban annual June 16th “Bloomsday” celebrations to deconstruct the contemporary mind and map of 21st century urban Dublin. REDRAWING DUBLIN has invited Dr. Ivor Browne to launch METROWALK. Dr. Ivor Browne will present ‘Does Dublin have a personality?’. Ivor Browne is an Irish psychiatrist, author, former Chief Psychiatrist of the Eastern Health Board, and Professor emeritus of psychiatry at University College Dublin. He is known for his opposition to traditional psychiatry, and his scepticism about psychiatric drugs. 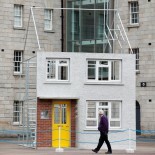 This entry was posted on June 16, 2011 by Redrawing Project in Events, Redrawing Dublin.